Our Birthday Sale is Here! HOORAY! Our birthday sale is here! 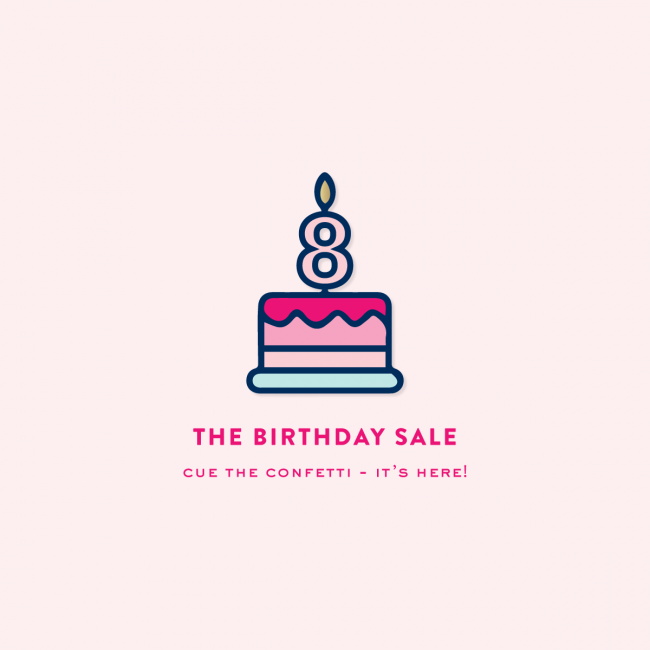 The Emily Ley shop is turning eight years old today, and to celebrate, we’ve marked some prices down in the shop up to 20% off! Prices as marked (excluding Simplified Planners). Now is the perfect time to stock up on gifts and those pineapple paper clips for the rest of the year. Our brand has changed so much from eight years ago when Emily was selling wedding invitations from her guest bedroom, and we couldn’t be more grateful for your support. Hop on over and shop the sale here!